Ford Group Philippines made history as the first company to open a car dealership inside the Subic Bay Freeport Zone, gaining access to over a thousand locators in the business district as well as to more residents in the central and western parts of Luzon. Ford Subic (West Coast Automotive), operated by the Laus Auto Group, has space for five cars and eight service bays. It also has a provision for a second level which can hold eight more service bays. It is located along Argonaut Road and J. P. Rizal Highway. "The Laus Auto Group understands that the Ford brand is on a growth trajectory in the Philippines and globally, and has the vision to participate in its growth as business partners," said incoming Ford Group Philippines president Randy Krieger. Levy Laus, chairman and founder of the Laus Auto Group, has been a Ford Franchise holder since the 1980s. His company now has five Ford dealerships, including those located in Libis, Quezon City; San Fernando, Pampanga; Cabanatuan, Nueva Ecija; and Dagupan, Pangasinan. "Ford Subic marks another milestone for Ford Philippines as it is a modern, globally competitive, and commercially viable location that is a part of our expansion program to service the growing requirements of customers in the western part of Luzon," Ford Group Philippines said in a statement. 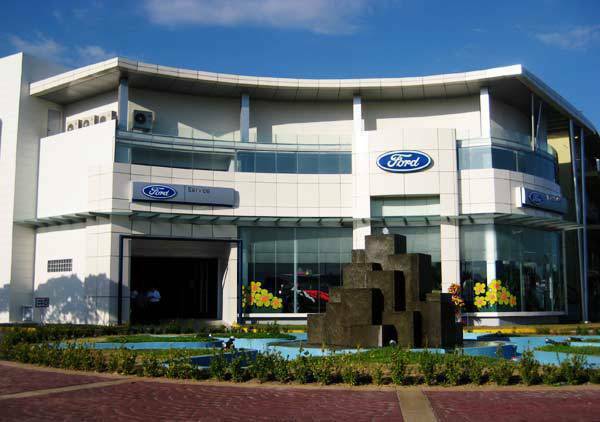 Ford Group Philippines now has a total of 24 showrooms, including mall outlets, nationwide. Click this link to see the entire lineup of Ford vehicles in the Philippines.